Here are just ten ideas for days out during your holiday in Northumberland. 2 Spend the day exploring Hexham and Corbridge. Have lunch at Le Bouchon Bistrot in Hexham. Visit Hexham Abbey and the Old Gaol - the first purpose built jail in the country, dating from 1330. Browse the Farmers' Market (second and fourth Saturdays of each month) and the Auction Mart (Tuesdays). 3 Explore the wonderful countryside on our doorstep. You will find a folder in the Lodge with details of local walks, both long and short. 4 Go to Newcastle and Gateshead. Visit the Baltic Art Gallery and the Sage in Gateshead and walk over the Millennium Bridge. Drive to the Angel of the North. Indulge yourself in the Eldon Square shopping centre. 6 Visit Alnwick Castle and Garden. 9 Visit the North Pennines Area of Outstanding Natural Beauty. Start in Allendale, have coffee at the Forge, follow Isaac's Tea Trail, or walk along Allen Banks and Staward Gorge. 10 Spend time at Cragside house in Rothbury, the first house in Britain to have electric light. Stroll around the wonderful gardens. 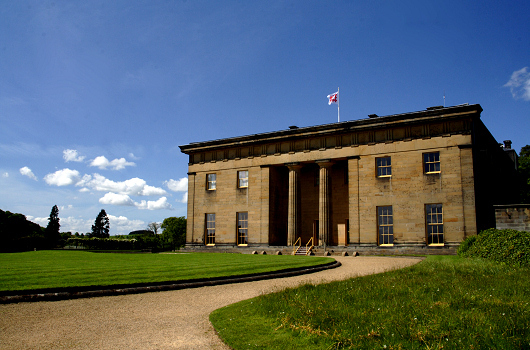 From there, go on to Wallington Hall, a magnificent estate in the heart of Northumberland.